Nine months ago we embarked on a journey to Idris to join Simon at Shadowhunter Academy. Over these past nine months we read about Simon’s adventures with his old and also new friends. We saw him grow, learn about Shadowhunters from the past and fight against prejudice. Today we will hopefully see him become what he has always wanted to be: a Shadowhunter, together with his best friend Clary. 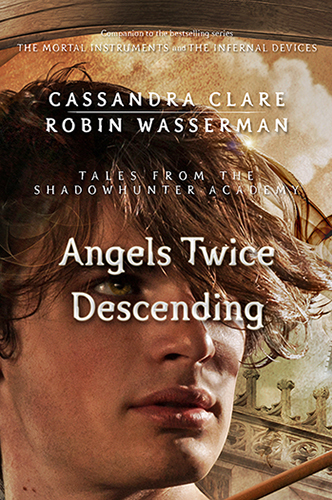 It is bittersweet to write this: Happy release day to Angels Twice Descending by Cassandra Clare and Robin Wasserman, the last installment of the Tales from the Shadowhunter Academy series! I devoured Angels Twice Descending at midnight and if you love Simon (and Sizzy), you need to read this ebook ASAP! A word of caution, though, have some tissues ready. Happy reading, Shadowhunters and leave us your thoughts in the comments below! 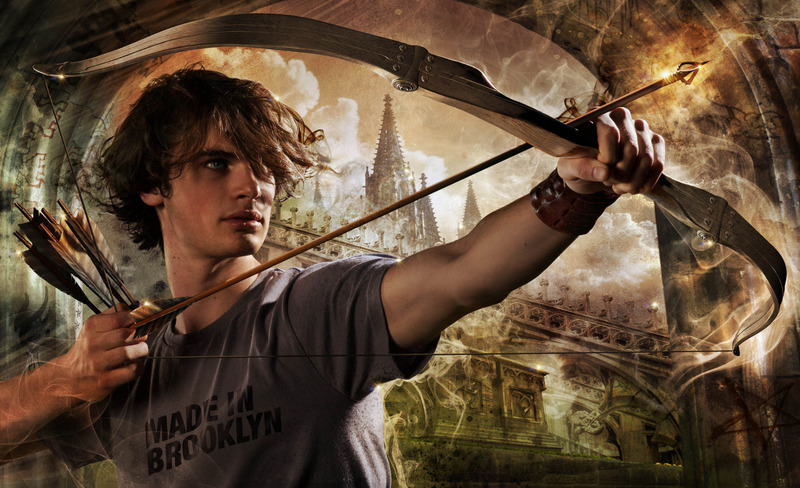 In honor of the last story of Welcome to Shadowhunter Academy coming out tomorrow: Angels Twice Descending by me and Robin Wasserman, here is the full wraparound art of Simon on the cover of the book. This model is the same model who was Simon on the new cover of City of Glass. Thanks to all my cowriters, Maureen and Sarah and Robin, for making this just as fun an experience as The Bane Chronicles. And lots of love for the readers who have followed along with. Thank you, Cassie, Sarah, Maureen and Robin for your wonderful stories! ♥ I cannot wait to own Tales from the Shadowhunter Academy in print format! You don’t actually need an iPad, Kindle or Nook to read Angels Twice Descending. If you have an Amazon account, you can download the free Kindle Reading Apps for smartphones, computers or tablets. If you aren’t a fan of ebooks, but love audiobooks then you can listen to Agents of S.H.I.E.L.D.’s Brett Dalton narrate Angels Twice Descending. I can’t wait for the book format! I’ve only read a few of the e-books, but decided to wait for the book after that. I can’t wait to see wait happens with Sizzy. They’re such a sweet couple!